These are the motors that have been used in modern Meccano sets for years. They can be used with the battery box, that incorporates a centre-off reversing switch. 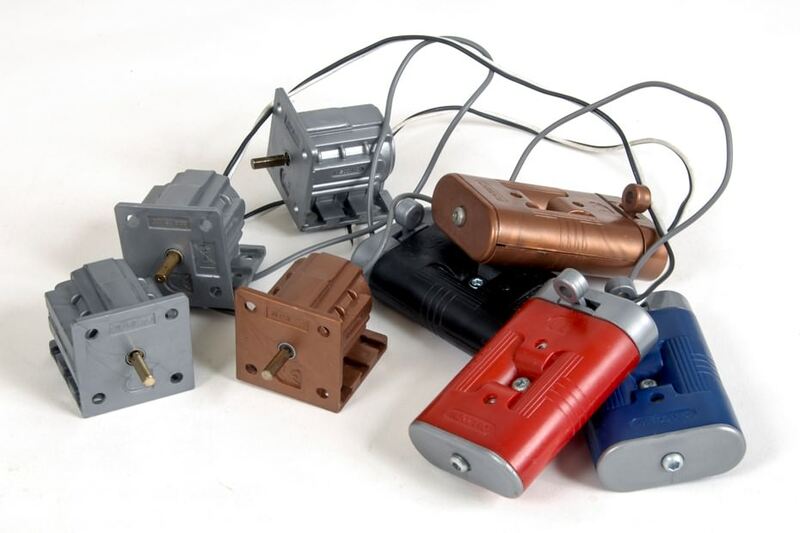 The battery box is supplied fully assembled with all four captivated nuts fitted. There is a choice of colours.